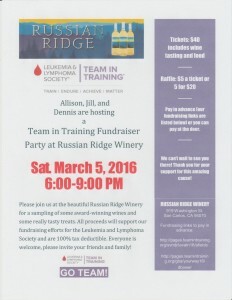 Please join us in helping Allison, Jill & Dennis raise some funding for a great cause! Here is a list of some of the bigger raffle prizes we have for Saturday. Tickets are $5 a piece or 5 for $20 and winner does not need to be present to win.